Autistic? You must be joking. Not my loving, sociable Tom, with his cherubic looks and halo of blonde hair, who hit every milestone on time in his first five years! Turned out it was far from a joke. Tom, who turns 16 this week, suddenly erupted at the age of four with unexplained wild and violent behaviour. When he smashed a row of vases we'd got as wedding gifts saying simply that he didn't like them, I rang my GP. We were referred to the state psychological services and ended up spending two years being interrogated for what we had done to the child. In exasperation I told the social worker: "The family doesn't have a problem. Our problem is Tom." "So now you're blaming him, are you?" he replied. Eventually, a private art therapist suggested autism and I went to Professor Michael Fitzgerald who diagnosed Asperger's Syndrome in less than an hour. 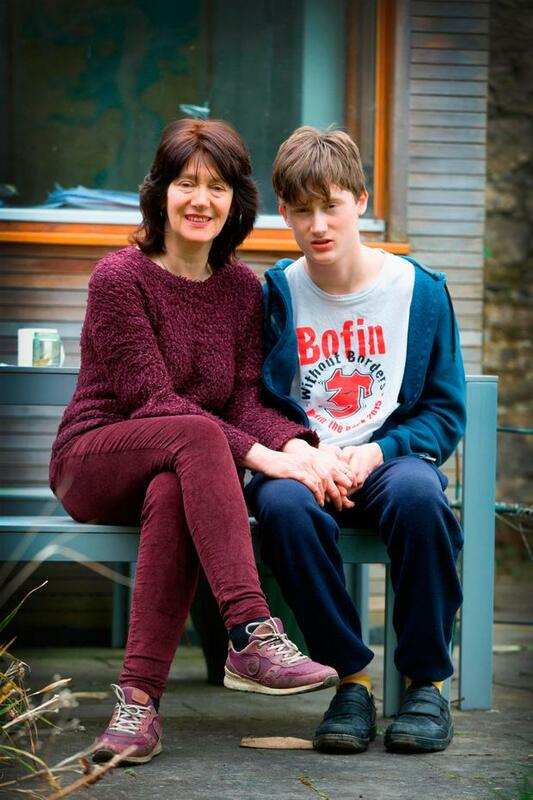 Tom graduated to PDD-NOS - code for "we haven't a clue what kind of autism he has" - when we went back to the state services. It's only in the last year that I've found what I think is his true diagnosis: childhood disintegrative disorder - a very rare form of autism which suddenly comes on for no apparent reason between the ages of two and 10 years old. Looking back at videos from 'before the crash' he seems normal. But not quite. I believe the seeds were there from birth. Unfortunately, they grew and he now has a significant intellectual disability and abnormal behaviours, including flapping and constant humming which drives his exam-focussed siblings mad. 1) There is no such thing as autism. 'Imbecile' and 'idiot' were once diagnostic terms and autism may one day sound just as imprecise. It is an umbrella term used to describe a constellation of difficulties certain people have with processing the information their senses gather. Their eyes, ears, nose, etc may work perfectly, but once the information goes into their autistic brains it's altered or even scrambled. This can make the world seem a bit scary. 2) Autism isn't one problem, it's a stack of problems. All autistics have issues with communication and restricted interests, but most also have other issues as well. These 'co-morbidities' of autism can range from dyslexia to ADHD to Down syndrome to chronic anxiety disorder to epilepsy to Tourette's syndrome and on and on... until there are no more syndromes and disorders left to count. 3) Autism is genetic. You have a 50pc chance of having autistic traits if you have a close family member with a diagnosis of autism. Of course that may mean you're just a little odd or difficult or particular. Or it can mean you're too mentally incapacitated to be reading this. Some autism-like conditions, like Rett syndrome and fragile X syndrome have clear genetic maps. Autism probably includes conditions with many genetic patterns which aren't mapped yet and may not even be related genetically. 4) There is no cure for autism. You will dump a lot of money on quacks if you believe there is. There is no 'normal' child trapped inside autistic children waiting to be let out and, most of all, they need to be accepted for who they are. However, some kids with ASD (autistic spectrum disorder) have behaviours which are improved by behavioural coaching in early childhood, such as applied behaviour analysis and can be helped by a range of therapies, including occupational therapy and speech therapy. Drugs help some kids and, if they're recommended, I'd say go for it. Melatonin helps lots of kids sleep, whereas my son takes a small dose of an anti-psychotic drug, Risperidone, which takes the edge off his behaviour. 5) The 'causes' of autism which are hyped in irresponsible media sources are attractive because they give the parent and family the illusion that they can control an uncontrollable situation. Very often, the so-called 'cause' of autism is something which is disliked by the parent: food treated with pesticides, fluoride in the water down to the big one - mass medication like the MMR vaccine. The autistic child becomes a symbol of something the parents oppose, even down to the government of the day which would have 'cured' the child if it had provided X, Y or Z treatment. 6) Autism is everywhere and always has been. It seems to be equally present in all nations and all social classes. Because it is a new diagnosis - the broad range of autism spectrum disorders only date from the 1990s - we have no way of knowing if its incidence is increasing or not. So far, the apparent increase is consistent with that which occurs with most new diagnoses. 7) Most autistics are not geniuses. About 10pc of them have 'savant' or abnormal levels of ability in some area, which can sometimes be put to good use and sometimes can't: being able to calculate all the leap years of the 17th century doesn't swing it with most employers. However, many autistics have sub-normal mental abilities and half of them are intellectually disabled. 8) Things which make life better for my Tom include nature, exercise, art, music and cooking. He can tell a peregrine falcon from a sparrow hawk in the twinkling of an eye and walking in nature with him is a great pleasure. There is lots of evidence about the importance of regular exercise for autistics and several parent-led activities groups have started, including Open Spectrum in South Dublin (openspectrum2@gmail.com/Facebook), Ripples in North Dublin (www.therippleeffect.ie), Snowflakes in Swords (www.snowflakes.ie), HxARTs in Harold's Cross, Rainbow Warriors Athletics in Irishtown (www.u-fit-org), Social Circle in Tallaght (socialcircleasd@gmail.com), The Rainbow Club in Cork (Facebook), and Triple A in Bray (www.triplea.ie) and others. Parents in these groups are a far better source of information and support than health professionals. 9) It's very difficult having an autistic child but it's more difficult having an autistic adult. I'm facing questions now like, "What will he do?" and "Where will he live? ", and the biggie, "Who will care for him when we're gone?". The right to educational provision for all kids ends at 18 years even if the child has the mental age of a two-year-old. They have no further right to transport or a training place. Most get training of some sort, but provision is at the discretion of your local HSE official and a new campaign is needed to link provision to needs, not age. 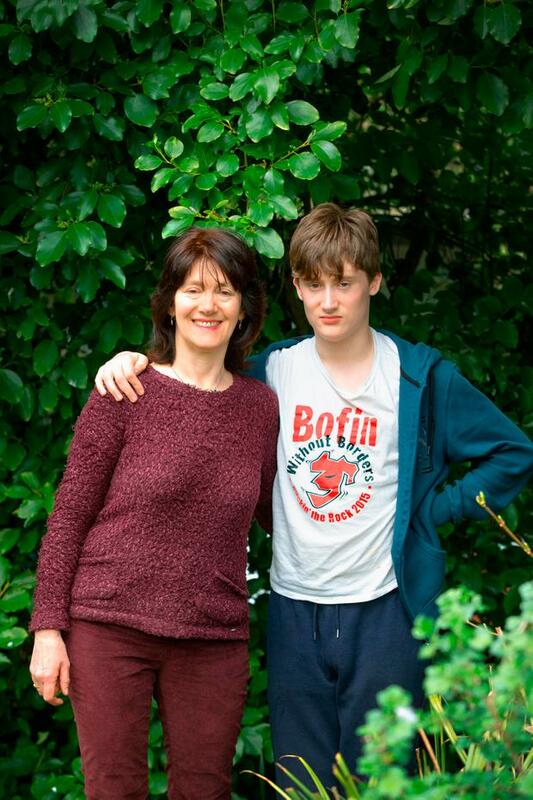 10) Autistic people are all wonderful in their own way. I wish Tom didn't have a disability but human beings can adapt to almost any situation and I have adapted to Tom. He makes us laugh far more than he makes us cry and I love his honesty. At nearly 16, he is noticing girls and he made the point the other day that, as he tactfully put it, "Not all ladies have beauty on them". "Give me an example of a lady without beauty, Tom," I asked casually. He gave me a penetrating look and said, "You".